Pictured: Southland Academy K4 student, Trayce, is proud of his original snowflake. 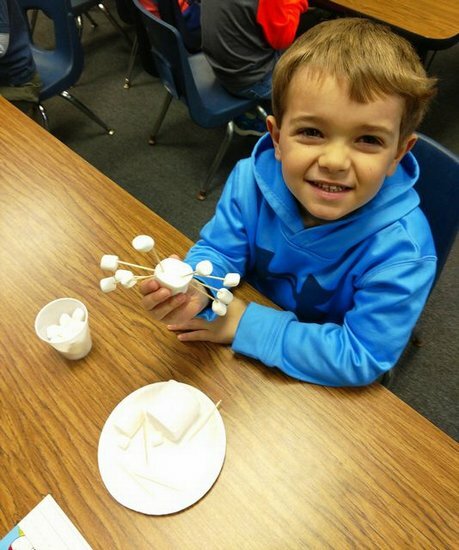 The Southland Academy K4 students are STEAMing through the winter cold with snowflakes! After Mrs. Rena Clayton discussed the symmetry in snowflake designs, her students enjoyed making their very own snowflakes from marshmallows and toothpicks. While using fine motor skills, the students creatively pinched and arranged the marshmallows onto the toothpicks crafting unique personal snowflakes. They also examined the snowflakes and talked about how many marshmallows and toothpicks it took to make each snowflake.